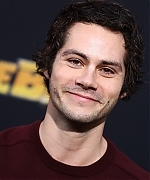 Last night, Dylan attended the Los Angeles premiere of Bumblebee. You can check out high quality photos from the premiere in the gallery. Enjoy! Yesterday (August 8), Dylan attended a special screening of Screen Gems’ film Slender Man at iPic Westwood Theater in Los Angeles. I have updated the gallery with four photos from the event. Enjoy! 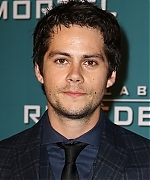 On Wednesday (July 11), Dylan went to a special screening of A24’s film Eighth Grade in Los Angeles. It was great to see Dylan out and bringing back his old buzzcut! Tonight (January 24), Dylan attended a fan screening of Maze Runner: The Death Cure in Paris, France. The gallery has now been updated with HQ photos. If any more photos are released, we will add them to the gallery! 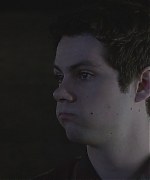 Be sure you are following us at @dylanobriencom! 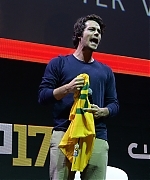 On Monday (January 22), Dylan attended a fan screening of Maze Runner: The Death Cure in London, England. The gallery has now been updated with HQ photos. Last night (January 18), Dylan and his cast members attended a fan screening for Maze Runner: The Death Cure! 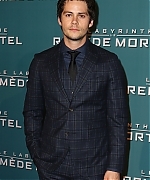 Dylan looked super handsome. Check out all the high quality photos in the gallery! The movie releases next Friday, January 26th! 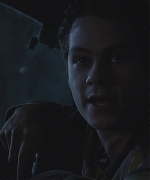 Hi Dylan fans! Yesterday (January 11), Dylan along with his Maze Runner: The Death Cure co-stars, Thomas Brodie-Sangster and Ki Hong Lee were in Seoul, South Korea to promote the film. They attended a press conference along with a premiere! The gallery has been updated with high quality photos from both events. Enjoy! Hello Dylan fans! 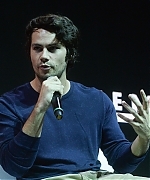 Yesterday (December 9), Dylan attended the Fox panel at CCXP Comic Con Experience. It was great to see Dylan out! You can check out HQ photos from the con in the gallery. The series finale of Teen Wolf aired last Sunday on MTV. The episode was a perfect end to the show. 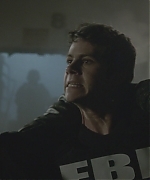 It was great to see Dylan as Stiles one last time. HD screencaptures can now be found in the gallery. LA TIMES – For the past year, Dylan O’Brien has been in hiding. He spent most of his time inside his home in Sherman Oaks, wondering if he’d ever be the same person he was before the accident. Not just emotionally, but physically too: After major reconstructive surgery that left him with four metal plates holding one side of his face together, he feared he’d never look the same again. “It’s a miracle, what they’ve done,” O’Brien says, placing his hand on his cheek. Indeed, the actor’s team of doctors must have done some incredible work, given the fact that he looks almost exactly as he always has — the boyish teen heartthrob who has amassed an army of young female fans since he began working on MTV’s “Teen Wolf” at age 18. Of course, he’s 26 now, so he’s filled out a bit, and there’s also a hint of patchy scruff on his face. He had enough gravitas to him that the producers of “American Assassin,” which opens nationwide Friday, felt confident casting him as the grizzled action-hero Mitch Rapp — even though the character in Vince Flynn’s bestselling books was widely believed by readers to be in his 40s. “American Assassin” is the reason O’Brien emerged from his self-imposed exile. 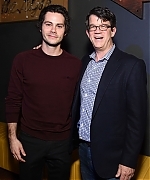 He’d signed onto the film just a few weeks before he began work on “Maze Runner: The Death Cure,” the third and final installment in 20th Century Fox’s post-apocalyptic young-adult franchise. He was hoping “Assassin” would mark the beginning of a new period in his career. In 2017, after six seasons, “Teen Wolf” would come to an end, as would the “Maze Runner” series. He was so excited to begin work on “Assassin” that he fielded calls from director Michael Cuesta just as production began in Vancouver, Canada, on the final “Maze Runner” film. Together, they discussed how O’Brien would approach the character, a 23-year-old who is recruited by the CIA to hunt down terrorists after he witnesses his girlfriend’s murder at the hands of Muslim radicals.